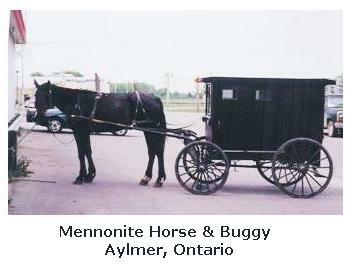 The first time I saw Mennonites was when I came to visit Ontario for the first time, in 1977, it was hard to miss their horse drawn buggies on the country roads around Kitchener. We saw the Old Order Mennonites and Amish in the villages of Elmira and St Jacobs and around Aylmer , and as I was curious I decided to learn what I could about them and their way of life. 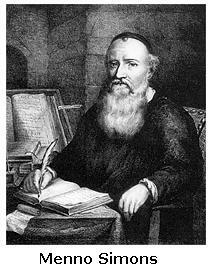 What I found was that they were a Christian group, by the name of Anabaptists, who took their name from their founder, Menno Simons. 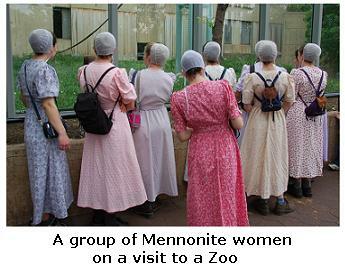 The beliefs of Mennonites are that they are to follow the mission and ministry of Jesus Christ, which they held onto firmly despite being persecuted by various Roman Catholic and Protestant states. They are known as people of Peace Churches as thy would rather flee a country than fight for their rights, or be forced to fight for that country, as they are committed to non-violence. Today, there are 1,500,000 Mennonites around the world and there are congregations world-wide. There are large populations here in Canada, the United States, the Congo and Mexico. In the Aylmer area, many of the Mennonite residents today have returned to this area from Mexico, after their ancestors fled there at in the 1920's, to avoid Conscription and prevent their men from being forced to fight in the War. At that time, many were living in the province of Manitoba where whole congregations left for Central and South America and settled there, and lived for many years. In the past 30 or 40 years, thousands of families have left and come to live in Southern Ontario, with the first three families arriving in Port Rowan, Ontario, in 1954. These are the people we term Mexican Mennonites because they are the ones whose ancestors migrated to Mexico from Canada, and their descendants have now returned to Canada, however, the term used should be Old Colony Mennonites. Here in Ontario, many Mennonites are often difficult to distinguish from their non-Mennonite neighbours. Some, however some are still recognizable by the way they live and dress, with many of the Old Order living the way their fore-fathers did - without electricity, automobiles and dressing in simple, plain clothing. They are considered hard working, thrifty and industrious, and live a rural, agricultural life-style and are often seen in local markets selling their home-baked pies, fresh eggs and home-grown vegetables. The men wear plain trousers and jackets, and often a plain straw hat, and women wear their hair long, but covered by a prayer cap, and have plain dresses, often dark navy blue, brown or black, but sometimes pale blue or pink. The overall impression is one of simplicity and plainness, which is their aim. On the roads you can find them in their horse drawn buggies as they go about their daily lives. Please respect our Mennonite neighbours wishes, and do not take photographs of them. Thank you. The Old Order often choose to educate their children in schools they run themselves, as this ensures that their beliefs and values are passed on to the next generation, which is probably the reason for their continued growth and success. Mennonites & Amish both come from a Protestant tradition known as Anabaptism, and they both believe that they should live out their beliefs in daily life. It can be difficult to distinguish between an Amish and a Mennonite, but this site can help you learn the major differences. the roots of the Mennonite Church.